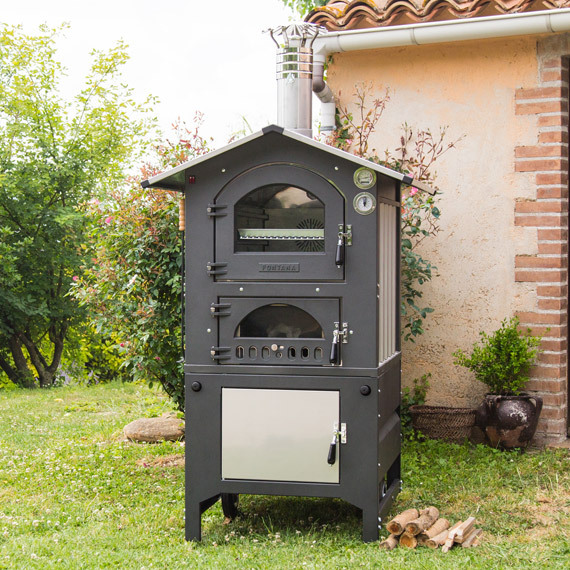 This is the original portable wood oven, introduced nearly 40 years ago by the Fontana family and still in use across Italy by families who love to gather outdoors for deliciously prepared meals. 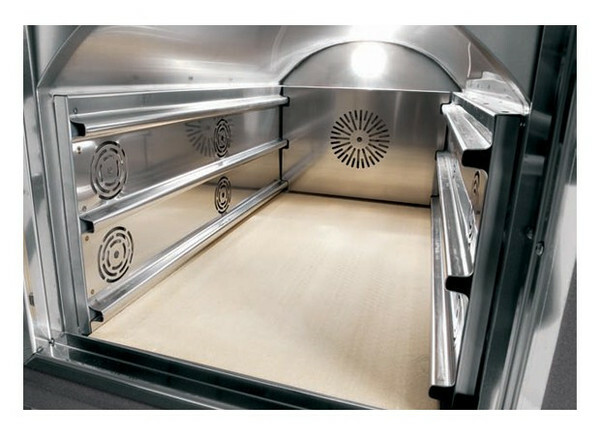 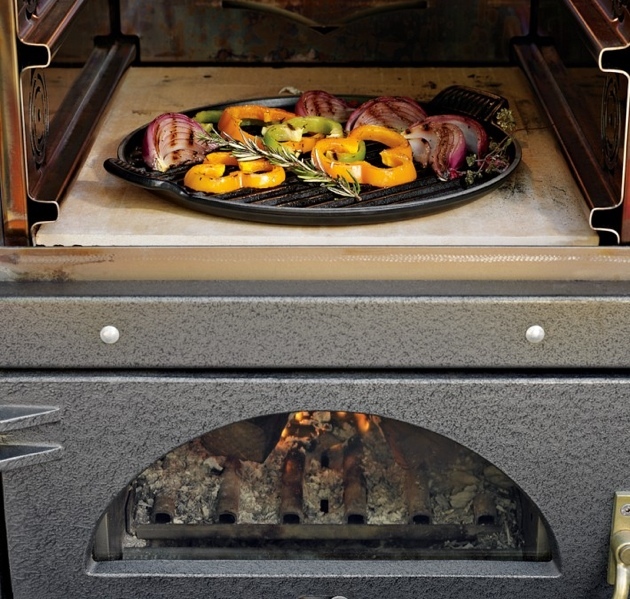 Today, it remains our best-selling oven because it combines beautiful Italian design with versatility and functionality. 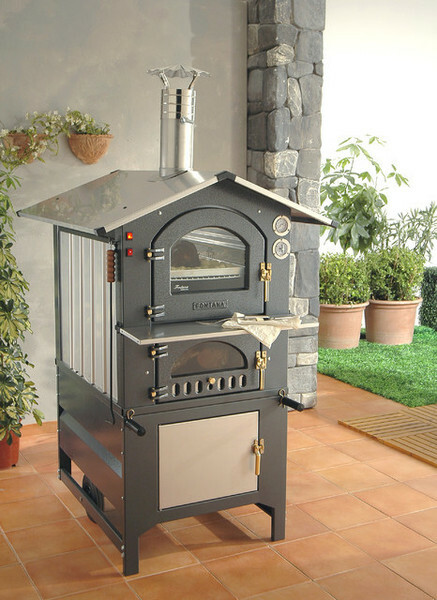 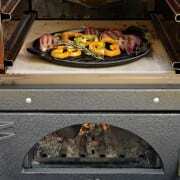 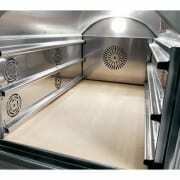 Use it to prepare brick-oven pizza, bread, roasts, chicken, vegetables and more! 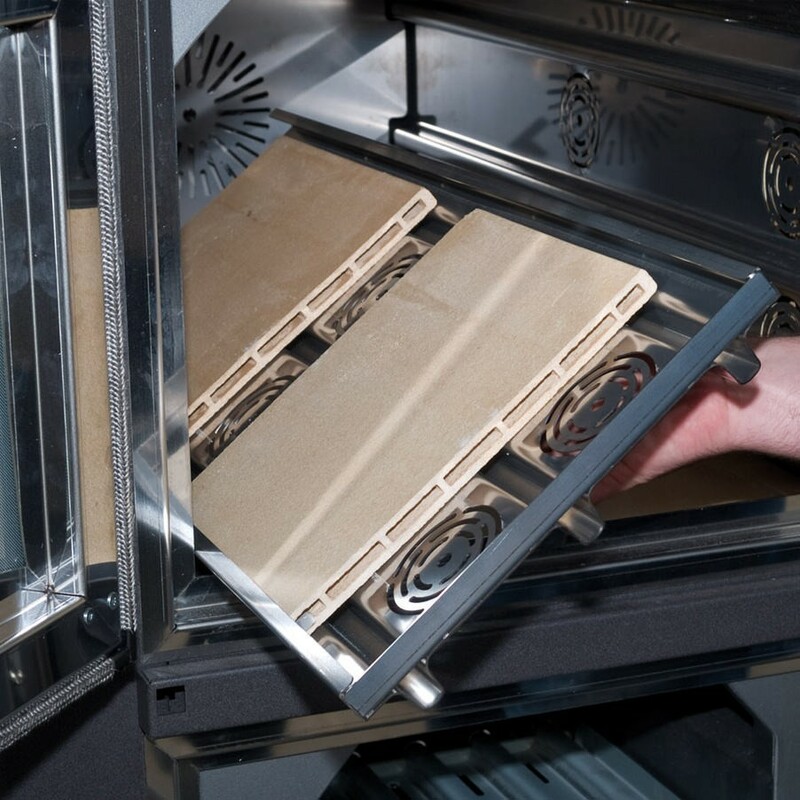 With the Gusto, there are no limits — if you can imagine it, you can cook it to perfection. 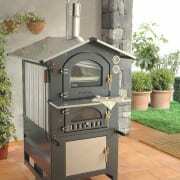 The Gusto wood oven consumes 5 times less wood than a traditional brick oven. It is pre-assembled which means you can go from delivery to delicious in a matter of minutes. 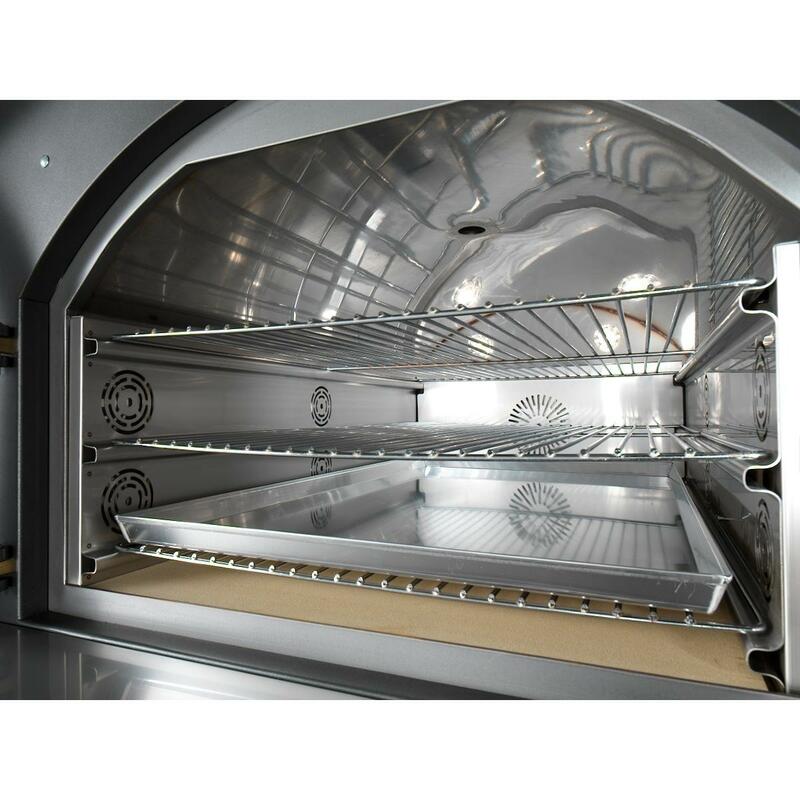 The Gusto is portable and easy to move and you can take it with you when you move into your next property. 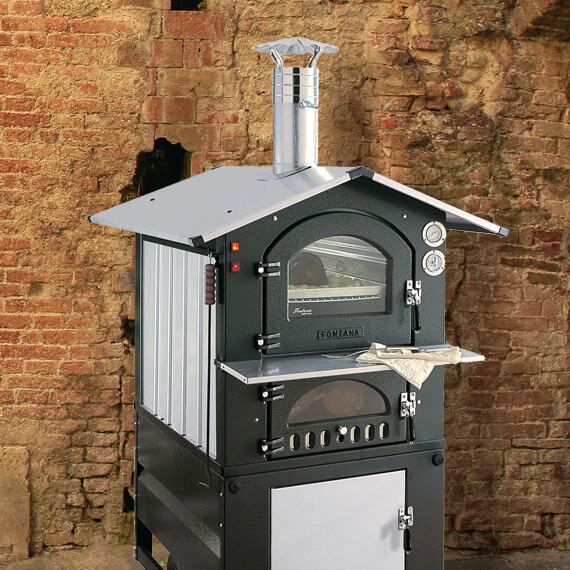 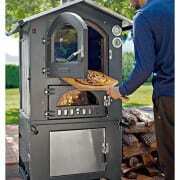 The Gusto wood oven heats up in 45 minutes and stays hot for one and a half hours. 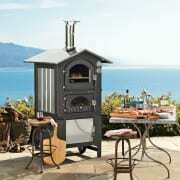 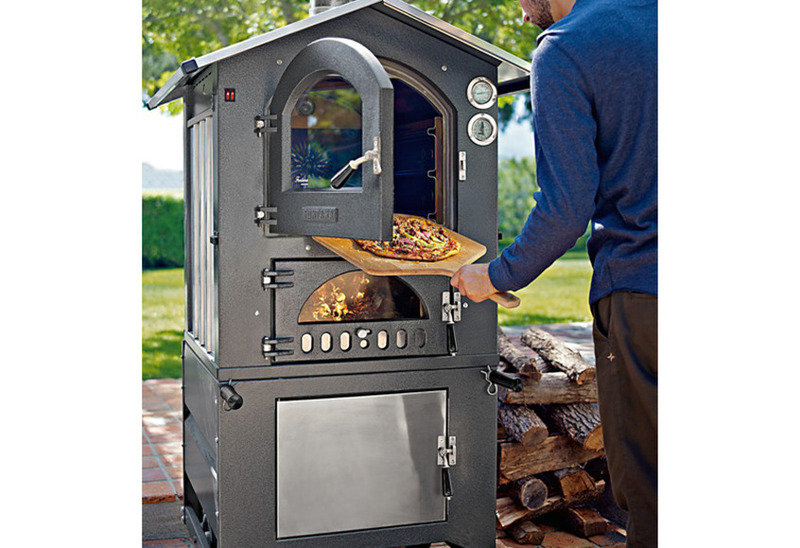 It comes with a pizza stone, 3 racks, a light and a convection fan for even heat distribution. 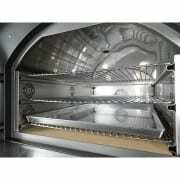 You do not need power to operate the oven only for the light and fan. Why the Gusto wood oven?